Canyon Ridge® Collection Design 22 shown in Medium Finish, ARCH4 Window Design 1st Once again, the #1 favorite garage door for SO MANY HOMEOWNERS is also the #1 door for so many GARAGE DOOR DEALERS. They say one is a lonely number, but we're feeling lots of love. 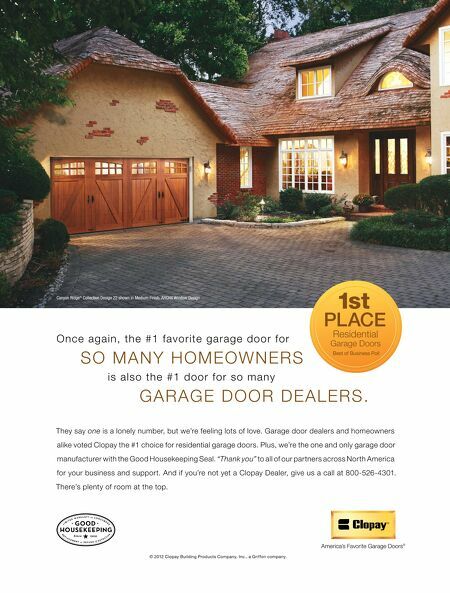 Garage door dealers and homeowners alike voted Clopay the #1 choice for residential garage doors. Plus, we're the one and only garage door manufacturer with the Good Housekeeping Seal. "Thank you" to all of our partners across North America for your business and support. And if you're not yet a Clopay Dealer, give us a call at 800-526-4301. There's plenty of room at the top. 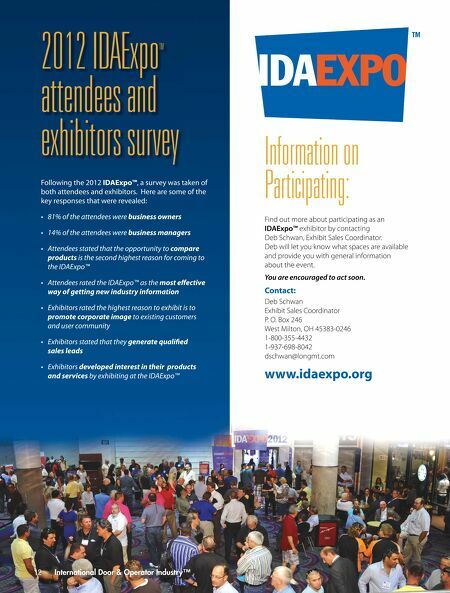 PLACE Residential Garage Doors Best of Business Poll © 2012 Clopay Building Products Company, Inc., a Griffon company.